Ricky Gervais is described as "that annoying little twerp that doesn't even come from here" in a US ad for car brand Audi, in which the British comedian's reputation for controversy forms the basis of a campaign pushing its A3 model. The campaign is centred on a 60-second cinema ad promoting the Audi A3, in which celebrities including Gervais sing and speak lines from the Queen track ‘We Are The Champions’. An ad promoting the Audi’s connectivity features Gervais’ niece sitting in the back of a car and reading out derisory comments from Twitter. "[Gervais] should keep his big mouth to himself and stay unfunny in own country" reads one message. "What does it mean?" asks his niece. Gervais, who is sitting in the front of the car, answers: "It means I’m doing something right." 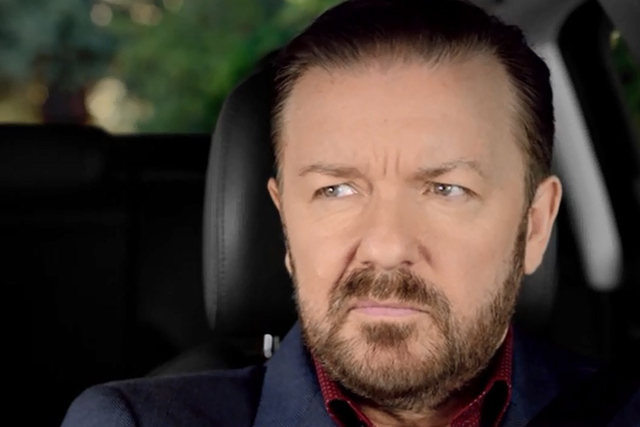 A third ad, also promoting the A3, is slightly more serious in tone, with Gervais telling the camera how he stays true to what he loves and has little regard for what people think. "I cherish the gasps as much as the laughs," he says. Gervais also talks of the furore surrounding his compering at the Golden Globe Awards, which he says was more akin to public reaction to a "mass murderer".